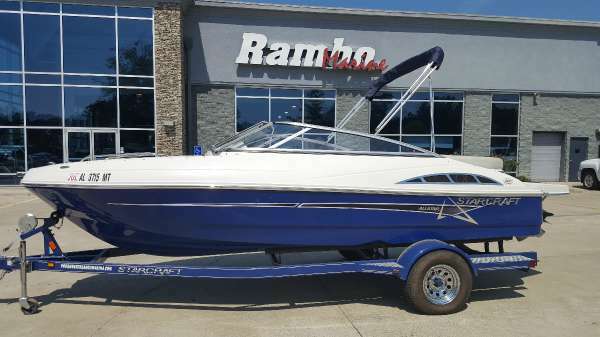 Owner very proudly says this boat is in Great shape and all features function as expected SPORT PACKAGE KICKER Marine Audio w/KMC-10 Head Unit & 4-Speakers Dual Battery Switch Mood Lighting Kit. It is lite up at night. 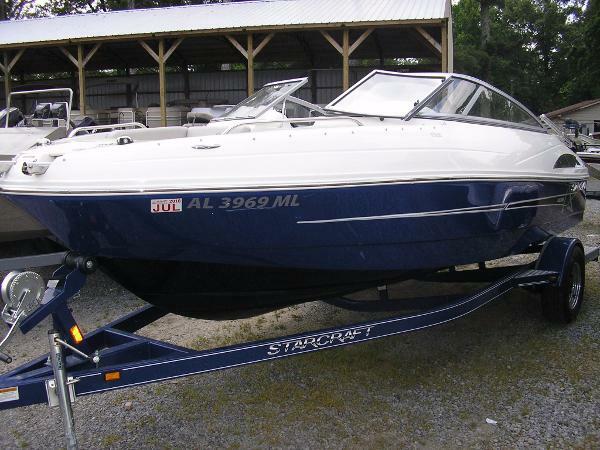 Stock #174193 running/dock lights, blue lights all in the inside and outside, with a changing room, and trailer included the engine hasn't even been broke in yet If you are in the market for a tritoon boat, look no further than this 2018 Starcraft 25 SLS 3, priced right at $44,900 (offers encouraged). 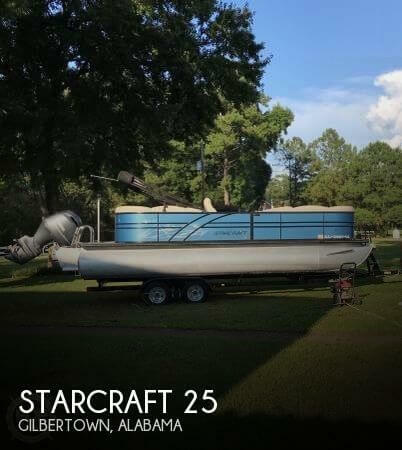 This boat is located in Gilbertown, Alabama and is in great condition. She is also equipped with a Yamaha engine that has only 12 hours. 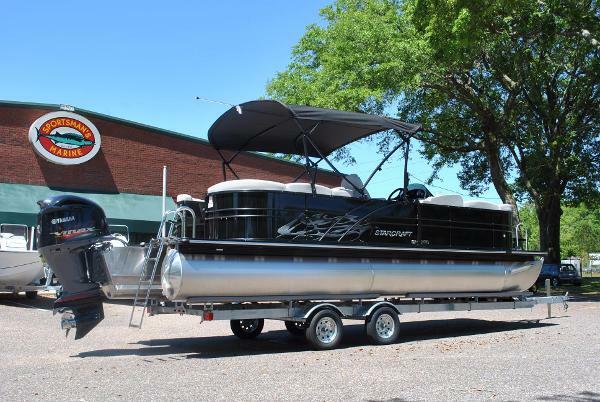 Reason for selling is no time to use..
2017 Starcraft SLS 5 (OYNX) The Stardeck SLS5 pontoon by Starcraft offers plenty of details to impress with a standard third tube with HMX Performance Strakes, full fiberglass console, sea grass rear deck, sporty gray furniture and a seating configuration that keeps everyone in the action. 2017 Starcraft SLS 3 Pontoon (Silver Metallic) SPECIAL SPRING BREAK PRICING -- $39,995 (Reg. 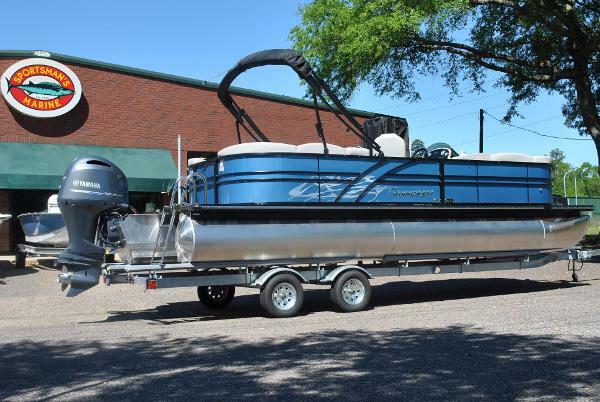 $43, 675) Starcraft pontoon boat innovation continues with the all-new SLS series, featuring HMX tubes. The Stardeck SLS3 pontoon boat offers plenty of details to impress with a standard third tube with HMX Performance Strakes that give you better lift, less surface drag, increased speed, faster planing and a tighter turning radius. Other details include a full fiberglass console, sea weave rear deck, sporty gray furniture and a seating configuration that keeps everyone in the action. In short, its one exciting ride. 2017 Starcraft SLS 5 Pontoon (Wave Blue) The Stardeck SLS5 pontoon by Starcraft offers plenty of details to impress with a standard third tube with HMX Performance Strakes, full fiberglass console, sea grass rear deck, sporty gray furniture and a seating configuration that keeps everyone in the action. 2017 Starcraft SLS 3 Pontoon (White) SPECIAL SPRING BREAK PRICING -- $39,995 (Reg. 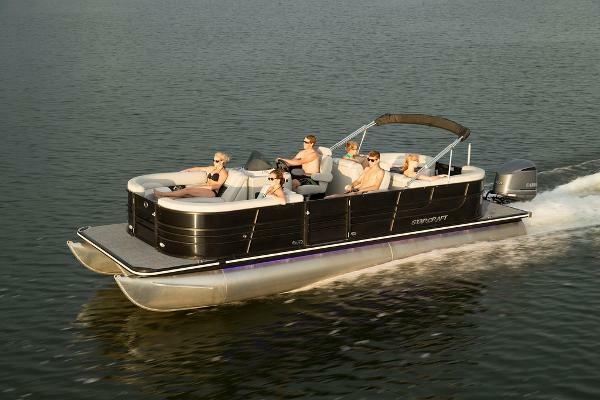 $43, 675) Starcraft pontoon boat innovation continues with the all-new SLS series, featuring HMX tubes. The Stardeck SLS3 pontoon boat offers plenty of details to impress with a standard third tube with HMX Performance Strakes that give you better lift, less surface drag, increased speed, faster planing and a tighter turning radius. Other details include a full fiberglass console, sea weave rear deck, sporty gray furniture and a seating configuration that keeps everyone in the action. In short, its one exciting ride. 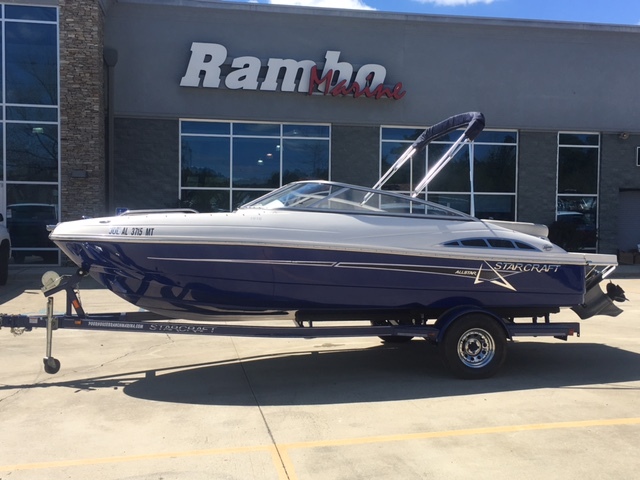 2017 Starcraft Limited OB 1915 OB, 2017 STARCRAFT 1915 WITH BLUE HULL SIDE COLOR AND POWERED WITH SUZUKI, TILT HYDRAULIC STEERING, STAINLESS STEEL CLEATS, ALLSTAR GRAPHICS, BLUE TOOTH AM/FM STEREO WITH USB/AUX JACK, FRESH WATER SYSTEM, ADJUSTABLE HELM SEAT, IN FLOOR STORAGE, FULL FIBERGLASS LINER AND FULLY COMPOSITE STRINGER AND TRANSMOM UNLIKE MOST BOATS IN IT'S CLASS, COLOR MATCHED BIMINI TOP WITH STORAGE BOOT, REMOVABLE TABLE, AUTOMATIC BILGE PUMP, WALK THROUGH TRANSOM, ***LIFETIME HULL WARRANTY******LIFETIME HULL WARRANTY***DRIVE A LITTLE SAVE A LOT, WE ARE YOUR GULF COAST VOLUME DEALER, WITH TWO CONVEINENT LOCATIONS. 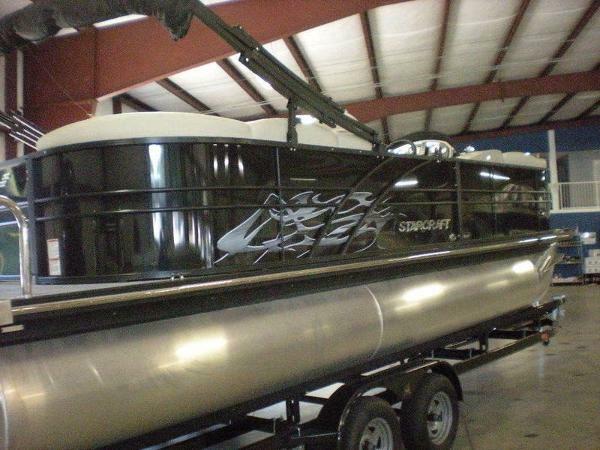 2017 Starcraft PONTOON AWAITING ARRIVAL 2017 Starcraft Pontoon We are now the dealers for StarCraft Pontoons the oldest name in pontoon boats, great quality , Yamahapowered, twin tubes, triple tubes, high performance your choice.Industry first cool vinyl flooring feels cool like carpet but cleans up like vinyl New side panel graphics and colors, If your shopping for a quality Pontoon Boat this is a must see.From 20' to 26' standard model up to the S3 go fast pontoon. New models arriving dailyCall Donnie for introductory pricing. 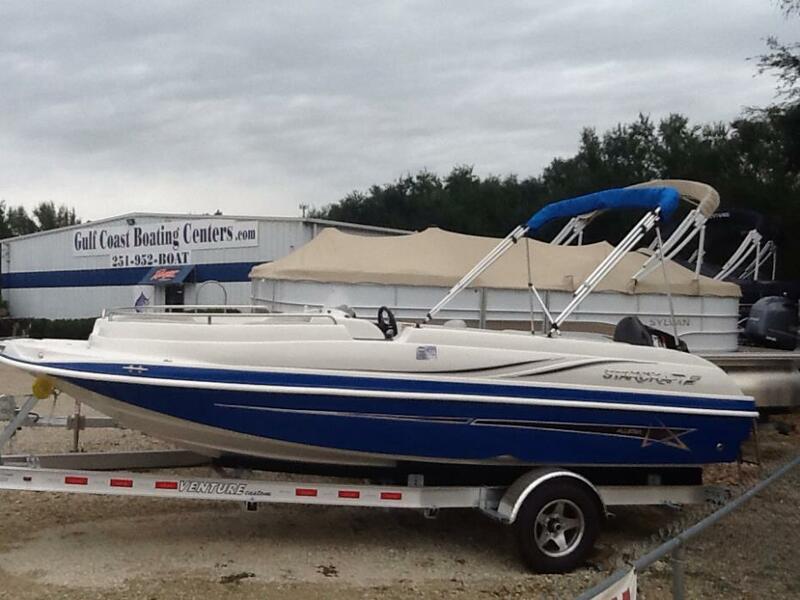 2014 Starcraft Limited 1918 RE IO Riding or swimming. Sitting by the shoreline or cutting a wake-the 1918 I/O is one fun boat. 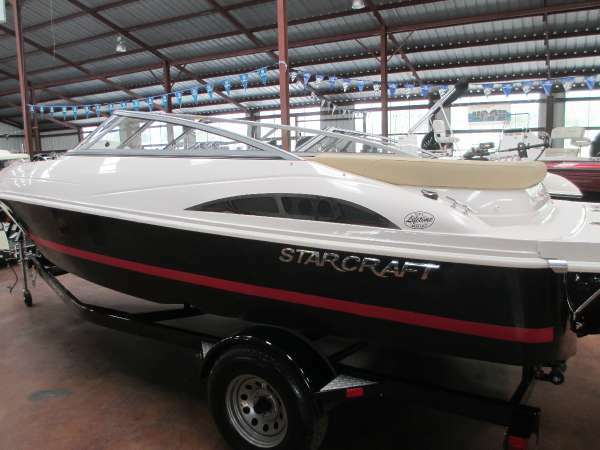 2014 STARCRAFT MARINE Limited IO 1918 RE IO 2014 Starcraft Marine Runabout Limited IO 1918 RE I/O Riding or swimming. Sitting by the shoreline or cutting a wake-the 1918 I/O is one fun boat.